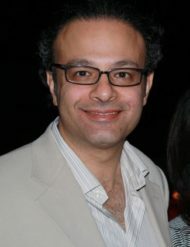 Dr. Abbasian is a graduate of Tehran University of Medical Sciences. He received his training in anesthesiology at the University of Florida in Gainesville. He has extensive experience in all modalities of anesthesia care including level I trauma, high risk, and pediatrics. Dr. Abbasian has completed additional training in ultrasound guided regional anesthesia blocks, which is most helpful in acute pain management after orthopedic procedures.He is Board Certified by the American Board of Anesthesiology.